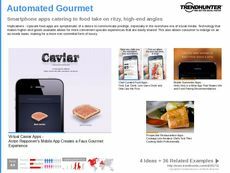 Find Better Ideas, Faster ® with a custom food truck trend report, our PRO Dashboard and 80+ categories of premium trend reports. 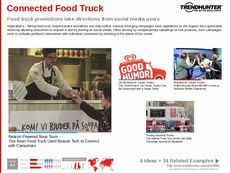 The Food Truck Trend Report examines the growing trend of consumers favoring food truck-based food services, especially amongst the millennial demographic. 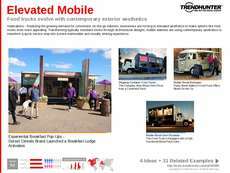 This report features countless examples of new food truck enterprises, and how they are able to cater to customer preferences for a more quick and mobile dining experience on the go. 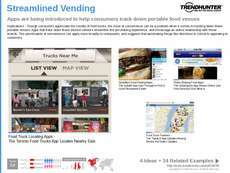 This research report will provide an eye-opening and revealing look at the latest food truck trends. 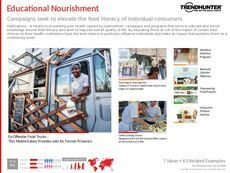 Anyone interested in learning about how they to can place themselves at the forefront of innovation within this industry will benefit from the curated research and insight contained within the Food Truck Trend Report. 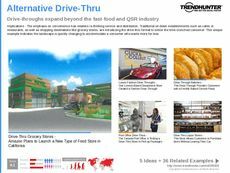 With multiple real-life examples of innovative food trucks, inventive menus and marketing stunts, this report will help readers interested in entering the food truck industry to innovate and lead.